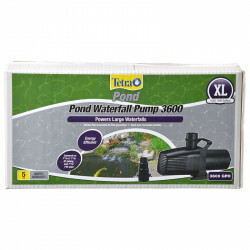 Welcome to the Pond Waterfall Pump superstore! Adding a waterfall feature to your backyard pond or large fountain is an instant way to add grace, beauty and serenity to your home. But in addition to looking great and creating peaceful sounds, pond waterfalls also help keep pond water healthy. The additional circulation and subsequent aeration and turbulence the waterfall creates help keep the pond water well-supplied with oxygen. This in turn helps prevent stagnation and improves the health of your fish and plants. Modern waterfall pumps are quiet, energy-efficient and easy to install and operate. Pet Mountain's Pond Waterfall Pump store features top quality products from the most trusted names in pond care and equipment, including Pondmaster, Beckett, and Aquatop. The Pondmaster ProLine Hy-Drive Pump contains both magnetic and direct-drive technologies, making it energy efficient, incredibly quiet, with a low maintenance pumping source. The Pondmaster Hy-Drive pump may be positioned vertically or horizontally and is equally at home underwater as a submersible pump or as an inline, external pumping source. 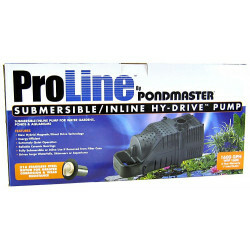 ProLine pumps also include an extra large clog free filter screen to keep unwanted debris out of your water. 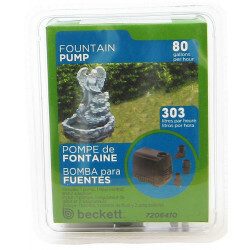 The Beckett Indoor/Outdoor Fountain Pump is excellent for use with both indoor and outdoor fountains. Its rotary valve allows you to control the flow adjustment easily, while its rotating outlet pipe provides a convenient connection for compatible ID tubing. 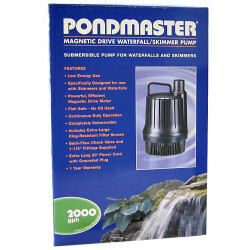 The Pondmaster Magnetic Drive Waterfall/Skimmer Pump is a high capacity pump designed to be utilized with skimmers and waterfalls in large ponds. 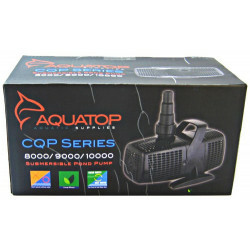 This Waterfall pump is submersible and includes an over-sized clog resistant screen.